Jen-Ho made his major league debut in 2017 ... has twice been named the Cubs Minor League Pitcher of the Year (2014, 2017) since he was signed in July of 2013 ... is 34-35 with a complete game and a 3.85 ERA (265 ER/619.0 IP) in 113 minor league games, all but two as a starter ... Ranked as the ninth-best prospect in the Cubs organization entering 2018 by Baseball America ... Pitched in two September games with the Cubs in 2017, including his major league debut when he started against the Mets at Wrigley Field on September 14 (ND in 14-6 win) ... Became the first player born in Taiwan to ever appear for the Cubs ... At 22 years and 346 days old, became the youngest Cub to make his major league debut as a starting pitcher since Sergio Mitre (22, 156) did so, July 22, 2003 ... Named Cubs Minor League Pitcher of the Year in 2017 after going 13-4 with a 2.54 ERA (41 ER/145.1 IP) in 24 starts between Double-A Tennessee and Triple-A Iowa ... In his first pro season in 2014, was 6-1 with a 2.40 ERA (28 ER/105.0 IP) in 19 games (17 starts) with Single-A Kane County to earn Cubs Minor League Pitcher of the Year honors. Jen-Ho spent the majority of the season with Triple-A Iowa, making 26 starts ... made one start with the Cubs, May 8 vs. Miami, allowing three runs on four hits in 2.0 innings in the Cubs 4-3 victory ... Led Iowa with 26 starts, 136.1 innings pitched and 115 strikeouts ... posted a 6.27 ERA (95 ER/136.1 IP). Named the Cubs Minor League Pitcher of the Year for the second time in his career and made his major league debut with two September appearances for Chicago ... between Double-A Tennessee and Triple-A Iowa, was 13-4 with a 2.54 ERA (41 ER/145.1 IP) in 24 starts ... named a Southern League mid-season All-Star... Made his major league debut in a start vs. the Mets, September 14, to become the first player from Taiwan to play for the Cubs ... allowed five runs in 3.0 innings, but did not garner a decision in the 14-6 win... Earned his first career win with 3.0 shutout innings out of the bullpen, September 28 at St. Louis in a 2-1, 11-inning win... In his 24 minor league outings, walked just 38 and struck out 122, good for an average of 7.6 strikeouts per 9.0 innings... Began the season with Tennessee, and was 7-3 with a 2.99 ERA (30 ER/90.1 IP), fanning 83 batters and walking 24... Promoted to Iowa in early July and went on to go 6-1 with a 1.80 ERA (11 ER/55.0 IP) in nine starts... Named the Cubs Minor League Pitcher of the Month for July, combining to go 4-1 with a 2.25 ERA (8 ER/32.0 IP) between Tennessee and Iowa... Earned Pacific Coast League Pitcher of the Week honors for July 17-23 after consecutive 7.0-inning starts (1 ER/14.0 IP). Made 22 starts for Double-A Tennessee, going 6-8 with a 4.29 ERA (54 ER/113.1 IP) ... walked 32 and struck out 69... Went 6.0 or more innings in nine of his final 16 outings... Pitched to a 1.91 ERA (9 ER/42.1 IP) and was 5-1 in eight starts from April 26-July 4 ... walked 10 and struck out 24 in that stretch...That stretch included a June in which he went 3-1 with a 1.29 ERA (4 ER/28.0 IP). Was 7-7 with a 3.55 ERA (47 ER/119.0 IP) in 22 starts for Single-A Myrtle Beach ... walked two or fewer in 17 of 22 outings, and ended the campaign with 30 walks compared to 87 strikeouts... Surrendered just two home runs in his final 73.0 innings covering 12 starts beginning on June 20... Went 3-1 with a 1.41 ERA (5 ER/32.0 IP) in five July starts. Named the Cubs Minor League Pitcher of the Year after going 6-1 with a complete game and a 2.40 ERA (28 ER/105.0 IP) in 19 games, 17 starts, for Single-A Kane County ... helped the squad to a minor league-best 91 regular season wins and the Midwest League title... Allowed three or fewer earned runs in 16 of his 17 starts and surrendered two or fewer walks in 15 starts... Held opponents to a .204 batting average and a .549 OPS while allowing just 15 free passes and striking out 85. 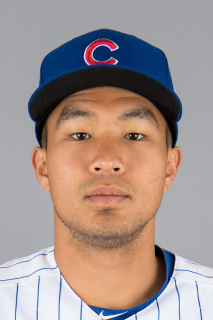 April 11, 2019 Chicago Cubs released RHP Jen-Ho Tseng. April 6, 2019 Chicago Cubs designated RHP Jen-Ho Tseng for assignment. March 9, 2019 Chicago Cubs optioned RHP Jen-Ho Tseng to Iowa Cubs. May 9, 2018 Chicago Cubs optioned RHP Jen-Ho Tseng to Iowa Cubs. May 8, 2018 Chicago Cubs recalled RHP Jen-Ho Tseng from Iowa Cubs. May 8, 2018 Chicago Cubs activated RHP Jen-Ho Tseng. March 13, 2018 Chicago Cubs optioned RHP Jen-Ho Tseng to Iowa Cubs. October 20, 2017 Chicago Cubs activated RHP Jen-Ho Tseng. October 6, 2017 Chicago Cubs reassigned RHP Jen-Ho Tseng to the minor leagues. September 13, 2017 Chicago Cubs selected the contract of RHP Jen-Ho Tseng from Iowa Cubs. July 4, 2017 RHP Jen-Ho Tseng assigned to Iowa Cubs from Tennessee Smokies. June 9, 2016 Tennessee Smokies activated RHP Jen-Ho Tseng from the 7-day disabled list. May 9, 2016 Tennessee Smokies placed RHP Jen-Ho Tseng on the 7-day disabled list. April 4, 2016 RHP Jen-Ho Tseng assigned to Tennessee Smokies from Myrtle Beach Pelicans. April 6, 2015 RHP Jen-Ho Tseng assigned to Myrtle Beach Pelicans from South Bend Cubs. June 9, 2014 Jen-Ho Tseng roster status changed by Kane County Cougars. March 31, 2014 RHP Jen-Ho Tseng assigned to Kane County Cougars. July 25, 2013 Chicago Cubs signed free agent RHP Jen-Ho Tseng to a minor league contract.